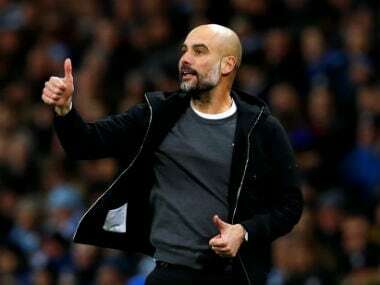 London: Pep Guardiola says he welcomes Manchester City's multi-pronged trophy assault, even though title rivals Liverpool have only the Premier League and Champions League to focus on. City face Burton in the semi-finals of the League Cup on Wednesday, days after demolishing Rotherham 7-0 to advance to the fourth round of the FA Cup. But Liverpool, who sit four points clear of City in the Premier League, have just two competitions left to worry about after a much-weakened side were knocked out of the FA Cup by Wolves on Monday. "If everyone is fit and not injured we can cope with it. The problem is if you have 10 injured players, it's almost impossible. When everyone is fit, it's better. 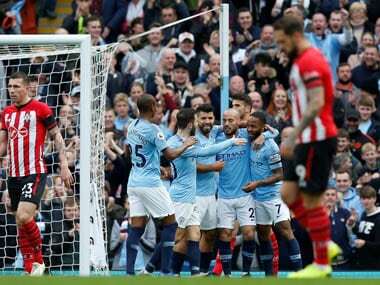 Without that competition, if we had just one competition to play in, I could play with the same 11 or same 12," Guardiola said. "Now everyone is involved. The players don't know who will play against Burton. Then, after four days, we have another final at home to Wolves," he added. 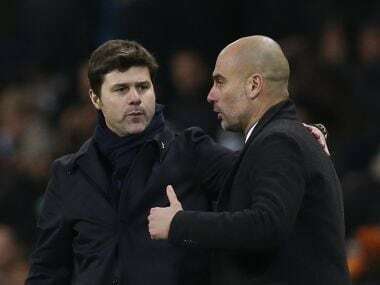 Guardiola said he would rather be fighting on multiple fronts as he believes momentum can apply across all competitions. "I prefer it, definitely. I like to be in the four competitions as far as possible. When Wigan put us out of the FA Cup last season I was sad," he said. Guardiola revealed conversations are ongoing regarding the possibility of extending Vincent Kompany's contract. The club captain's existing deal expires in the summer when the Belgian is also due a testimonial after more than a decade with the club. "We are considering it, we are talking about that. I would like it. He's our captain. Eleven years here. We saw in the last two games the huge quality and personality he has to play. The only problem with Vincent is one — his injury problems," Guardiola said of a possible new deal. "One-against-one absolutely we are better with Vincent. Every central defender has his own quality but there's no doubt Vincent has something special with his charisma, winning the duels. It's incredible. He's one of the best central defenders I've ever seen. The problem is whether he's fit," he added.